Title : Ch'ing-yuan, AD 1194 to 1200. Denomination : Iron 3 cash. Size : 29.0 x 29.2 mm. Weight : 4.48 grams. Grade : VF with typical rusty surfaces. 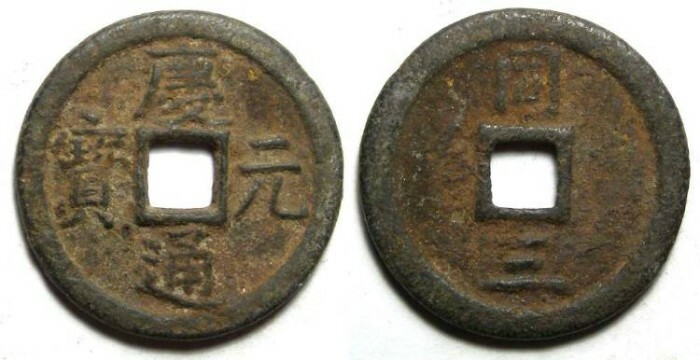 Reverse : "Tung" at the top, and the year mark for 3 at the bottom.